For some, fast food is a daily staple. For others, it’s garbage that should be banned from the face of the earth. I used to drive five hours per day. Yes – you read correctly. After thousands of miles on the road, I have been able to try many of the items that are coined fast food gluten free options. I hope you find this list of gluten free fast food options helpful and useful. You can find El Pollo Loco locations in six states. The gluten-free fast food options include basic gluten-free sides, chicken, and salads with specialty dressings. Mendocino Farms – Mendocino Farms first opened its doors in Downtown Los Angeles in 2005 and during the last 13 years has expanded to 20 locations throughout California. You can request gluten-free bread for most sandwiches, and you can omit the tortillas for all of the gluten-free salads. The Best Gluten Free Friendly Fast Food Option: Modern Caesar 2.0 – curly kale, butter lettuce, superfood crunchies, Grana Padano cheese, red onions, grape tomatoes, avocado, Caesar dressing (can add free-range chicken breast) *I order the Modern Caesar with no kale, extra crunchies, and without chicken. Chick-fil-A has a certified gluten-free bun that is individually packaged that can accommodate any of the Chick-fil-A sandwiches. They are offered nationwide. Due to a large number of sandwich options and the quality of the grilled chicken, I believe that Chik-fil-A is one of the best gluten-free fast food options. Johnny Rockets has a lot of gluten-free options because they offer a gluten-free hamburger bun. And, you can find locations throughout the world, such as South America, Canada, Africa, Australia, and Hawaii. I never feel guilty eating ice cream year round. There’s always a seasonal flavor that you must try. Most of the ice cream options are gluten-free. If you’re a meat lover, Dickey’s BBQ is the place to be. Most of the sides are gluten-free. And, the brisket is just what everyone is talking about on the street. I love the seasonal salad rotations at Panera Bread. It’s like a quarterly surprise and no matter what the new one is – you know you’re going to love it. The prices are reasonable, and the servings are a perfect size. Taco Bell was a standing favorite. They don’t offer many gluten-free options. But, if it’s the only option on the way to grandma’s house, the spicy tostada will do the trick. Gluten-Free pizza is offered in at least 2100 locations across the country. Pizza Hut makes the pizza on Udi’s gluten-free crust, and you can select any of the gluten-free toppings. The cheese-only and cheese-pepperoni gluten-free pizzas are prepared following the procedures by the Gluten Intolerance Group. The gluten-free crust is stored in a separate container. The cheese, marinara sauce, and pepperoni are stored in a designated container. All of the gluten-free pizzas are baked on parchment paper in the oven. The team members wear gloves while creating your pizza and they use a separate pizza cutter to cut the pizza. Jersey Mike’s offers a ton of gluten-free options. They provide most of the subs on an Udi’s gluten-free submarine roll and in a tub. And, you will find more than 1500 locations with gluten-free subs. Regular Fries – I’m addicted to fries at Five Guys. They are a gluten-free fast food bucket list item. Jack in the box offers a few gluten-free options. If you want a salad on the road with a creamy dressing with a kick, this might be the one. I love Chipotle! The gluten-free options are endless. You can mix and match anything at Chipotle except the soft flour tortillas. The best gluten-free option is to be as creative as possible. Most of the smoothies and juices at Jamba Juice are gluten-free. Click the menu links below to grab the full gluten-free or vegan menu. The home of America’s favorite frosty. I was pleasantly surprised to see that Sonic offers a lot of gluten-free options. Many of the grill items without the buns, fries, tots, and many of the ice creams and drinks are gluten-free. Don’t forget to share this pin on PINTEREST. 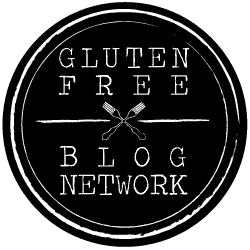 You can find other gluten-free guides in the gluten-free guide category. Also, you may love this gluten-free guide board on Pinterest.